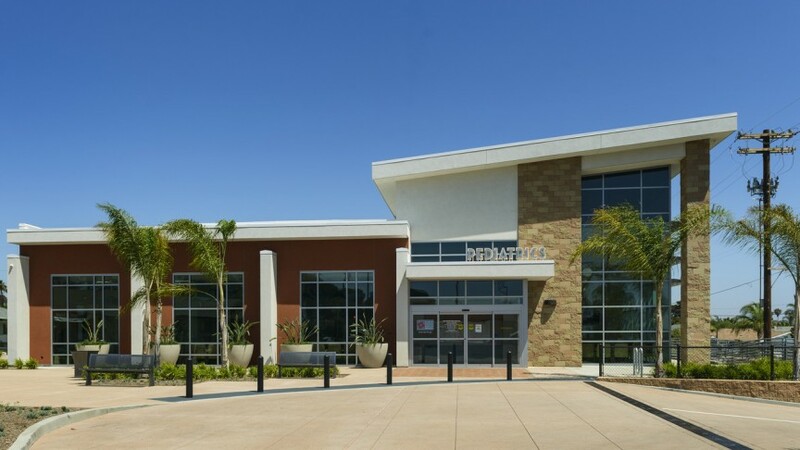 North County Health Services (NCHS) is a Federally Qualified Health Center (FQHC) serving the large northern region of San Diego County. This OSHPD 3 project adds 13,000 s.f. 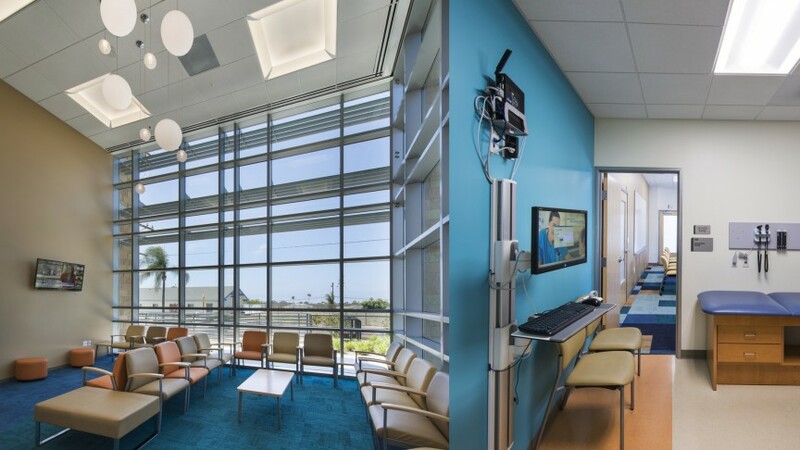 of new pediatric clinic space to the existing NCHS Medical Campus. It is designed around the clinical pod concept that makes it easy for care teams to work together to coordinate patient care more effectively. 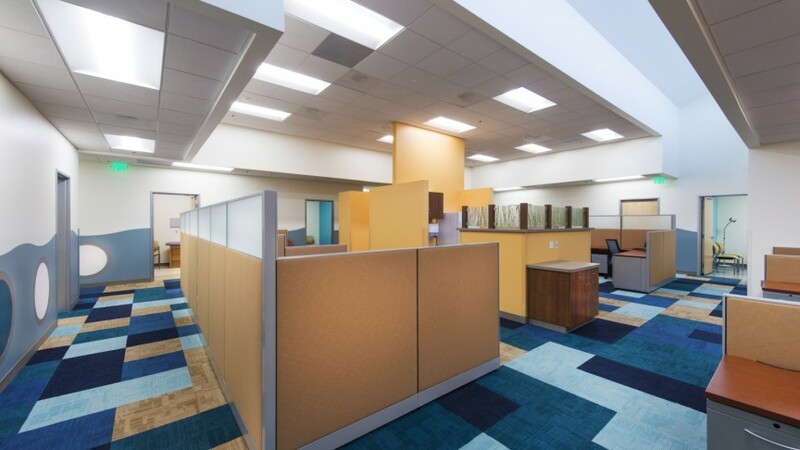 It features a central open workspace for the care team, with 18 exam rooms ringing its perimeter for easy visual assessment of the status of each room. 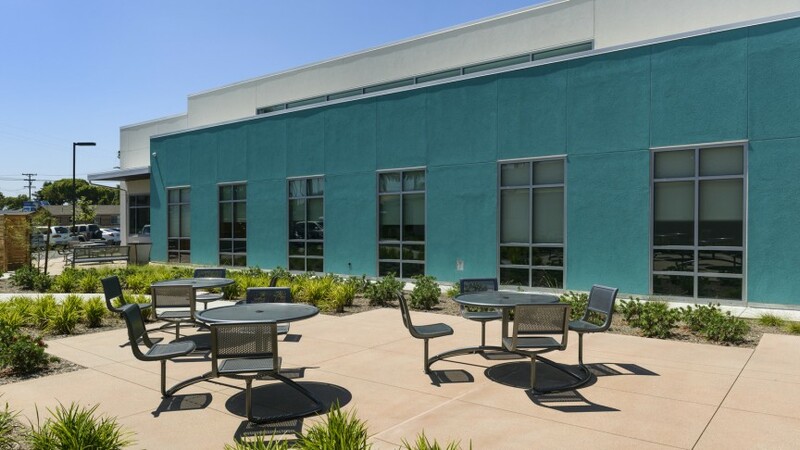 Positioned along a prominent drive, the building is designed to have a strong community presence. With traditional accents of warm wood tones and native plants, the design takes cues from the surrounding neighborhood architecture and coastal area. The project team was challenged to design a clinic that would appeal to a wide range of youth. 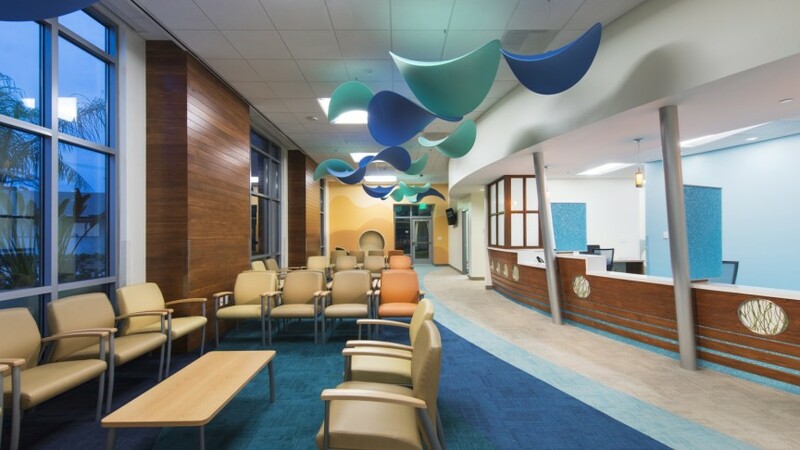 The ship-theme waiting area, along with bright blues and oranges throughout the facility, create a bright, comforting environment that is fitting for children of all ages.